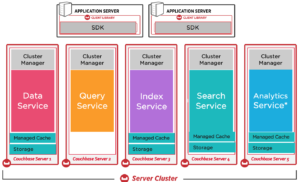 In Couchbase 5.0, N1QL R&D engineer, Isha Kandaswamy has developed and haswritten about the CURL() functionality. Using CURL(), you can use any of REST services with JSON endpoint. An example of using Google map API is shown here. The JSON result from the services can be naturally processed in N1QL because N1QL is designed to be SQL for JSON. Keshav Murthy is a Senior Director at Couchbase R&D. Previously, he was Senior Director of Product Management at MapR, Senior Architect for IBM, with more than 20 years experience in database design & development. He lead the SQL and NoSQL query processing team IBM Informix database. He received a President’s Club award at Couchbase, two Outstanding Technical Achievement Awards at IBM. Keshav has a bachelors degree in Computer Science and Engineering from the University of Mysore, India and holds eight US patents. Next story The arduous path towards a “Smart City” … Aesop’s “The Fox and the Grapes” reloaded?